The 8th generation Porsche 911 will be revealed to the world at the Los Angeles Motor Show which begins later in November 2018. Porsche, meanwhile, has been building up the hype and recently revealed how much the test fleet of the new car has endured making sure the new 911 will become the best 911 ever. From being tested in regions with temperatures varying from -35 degree Celsius to 50 degree Celsius, to elevation changes from 90 metres below sea level to 4,600 metres above sea level. The dust and heat of the deserts in the Middle East to the ice- and snow-covered roads and tracks in Finland. These cars have also been to cities/tracks in the very important Chinese market to make sure they run on fuel of varying degrees of quality. The chassis has of course been tested to keep the typical Porsche handling characteristics intact. 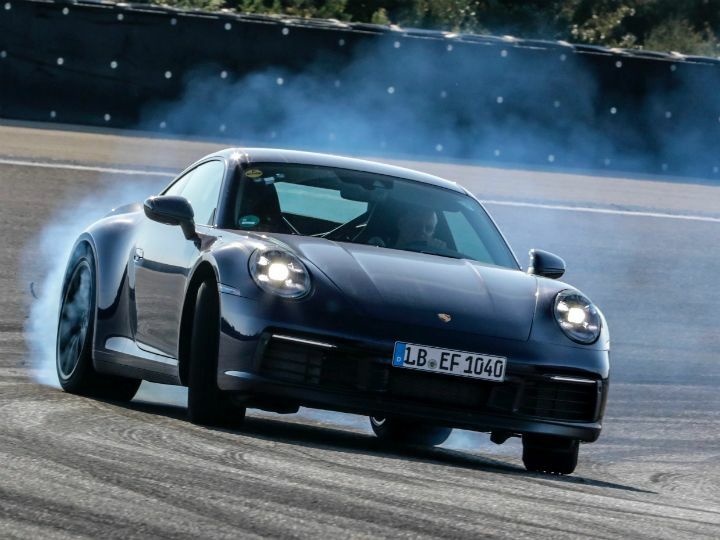 The 992 was spotted testing at the famed Nurburgring and on the mountain roads in the surrounding Eifel mountain range. Porsche’s own Nardo test track also played a huge part in making sure the car was fast, handled well and could handle being pushed to the limits without overheating any component. Last but not least, the Arctic Circle test tracks were instrumental in honing the traction control, handling and braking characteristics of the 992. The Porsche 992 911 gets its design inspiration from the 911 Speedster concept which is set to go into production soon. The design all around is more muscular than before, though it may look like a facelift. The most noticeable design change is out the back, where the taillamps are now stretch from side to side inset in a black glass/plastic trim. While dimensions may not seem to have been changed, the new 992 has a wider rear track for better handling, also freeing up space for new hybrid/all-electric drivetrains which will be introduced later in the car’s timeline. Spy shots of near-production GT3 RS models show a menacing-looking complicated fixed wing and twin centre exhausts instead of the two single/dual stacks placed towards the corners in the standard cars. Flat-six, or boxer engines, will continue to power the new 911 lineup but it will not be offered in a naturally aspirated setup as standard. These will only be offered in limited editions or the performance variants at a higher price, maybe -- most 911 models will feature twin-turbocharged engines designed to meet stricter emission norms. The new 911 will debut a new 8-speed PDK dual-clutch transmission, though a manual gearbox will be offered to those who seek the ultimate driving experience.